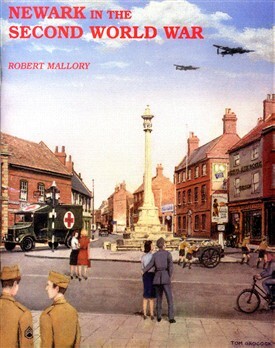 A wide-ranging account of how the war affected the North Midlands town of Newark-on-Trent. The book shows what life was like in the Second World War, from both the military and civilian point of view. Chapters are devoted to the Sherwood Rangers, Sherwood Foresters, the airfields, military bases, Civil Defence and local air raids. On the home front the author covers news and censorship, propaganda, women at war and Newark under attack. A special section is devoted to the role of Polish servicemen and the town’s dedicated Newark Polish War Graves Cemetery where the Polish wartime leader, General Wladyslaw Sikorski, was originally interred. Good book with a g rest picture on the front by zTom Grocock.